And you look fine to me! A lot better than a business suit, for sure. I can’t wait for next week! I have David’s 4day blueprint and have been a fan of yours as well so it seems like a perfect pairing for you to. Looking forward to next week when you release your site. Well I for one am very excited and happy to see you rolling out a new project. As far as the way you look, GREAT! You look comfortable and real sitting there working from home. Thanks so much for sharing the news with us. Looking forward to it. Hi Jenifer, this is great, I cannot wait to hear what you guys have to share. Count me in. BTW I remember your 1st Video inside WA saying you were shy in front of the PC.. Well you look as comfortable in Video as when you write.. The same humor and the same understanding! oooooooooooohhhh, i am bubbling excitement. the 4-days money making blueprint is the best CB product i have ever purchased, dave is an amazing guy and potpiegirl is an even more awesome person. and now the only two internet marketing experts that i look up to are coming together to unveil something. This is going to be something that i call a powerball of “amazing-awesomeness”. Jenn, i just can’t wait. That is awesome Jennifer! I cannot wait to see it. I am working on a little something myself. And to think…. I remember hearing stories about the days when Google had no idea what a PotPieGirl was. I LOVE that you didn’t care about getting all gussied up – and please don’t worry about it – it’s SUPER great because it means: you WORK at HOME!! And if you want to talk college ball – the South would tremble in front of Boise State. Quit laughing. Glad you were invited as a top producer to Clickbank! Yeah where have you been? Or well that answers that question. Good luck with your new membership site. Will be very interesting to see what you coming up. Sounds really exciting. Can hardly wait. Count me in. You look absolutely fine and natural. I like David and you’ll both be awesome together. I’m all for “free,” for now anyway, until I make some serious money! So I wanted to really leave this comment on the 4th of January ( i know its sept!) and ask you about that post. I apologise that this comment really isn’t about this post, But I gotta ask you something if thats ok? Has the method changed? Amd I doing something wrong? WooHoo, Local gal does good! Haven’t figured it out just yet, but I have a feeling that is about to change. Your winning attitude gives me hope, even when I have no clue of what to do. Keep up the good work! Thanks for the update.. really looking forward to seeing your newest venture next week! Jennifer, looking forward to your membership program. Looking forward to your new membership site, I’m afraid one thing I do disagree with you about is your recommendation of “Wealthy Affiliate” as a membership site. I was a member a while back and didn’t like it at all – and I know I’m not the only one!!! So I hope you’re not going to model your site on that one! Looking forward to seeing it – good luck and thank you for all your freebie help so far. Sonds like your having a blast and Ill be intrested to see what your going to do. Your right to point out that many people have multiple sources of income not just squidoo etc. I think this si one of the things that causes a lot of issues for newbbies. Yippeeeeeeeee! Glad to see you back! I am looking forward to your announcement in the next week! I missed you! It’s great to see you again, was wondering where you were. Your new project sounds really great and I can’t wait to hear more next week! I agree with Steve – Wealthy Affiliate is simply awful. A complete waste of money especially when comapred to some of the other membership sites out there. So I’m a little confused. I bought your program and David’s too. They were both good. Why do we need another one? I’m very excited about your new venture and getting involved. I’ve done The Dam Way and OWM, at this point I’m getting a good amount of traffic and I feel my squidoo pages are ranked well, but haven’t had any income success yet, but I’m optimistic. Hopefully good things will come my way soon. I need all the free help I can get. Thanks a million for what you are doing. You definitely inspire me. Your looking good as a lady should. Only problem is that jacket with Alabama on it. However I do know the Grandfather of the kicker on last years team. Bob Tiffin. Glad to see you doing this, I think you are one of the most honest and giving folks around. I know your a promoter of WA but I think one will learn more from you and your partner than paying the big bucks for WA. Look forward to you membership and if there is an affiliate program I’d be interested once I review the program. Cool glasses Jennifer. Pre-launch FTW!! Hope you are rested by now. Your video was just fine, although you might want to take off your glasses next time. They are very distracting. So glad you are teaming up with Dave. I haven’t heard from him recently and was beginning to think he was sick again. Keep up the great work you have been doing and I look forward to what’s coming latter this week. Glad to see you are getting into the videos and you have your very own training center now! Congratulations! I am sure it will be a hit all the way around. Nothing helps a new affiliate get ahead faster than training from a knowledgeable, reputable individual! This is fantastic! I am happy to see that you are rounding out your training with other avenues besides just straight affiliate marketing. It is important for the people new to internet marketing to learn other ways of doing things. I wish you the best in your new project. I always follow your update from email and i like what I see, read, and to your new project can’t wait to do that as well, success to you Jen. Nice vid… Glad to see you are doing so well and more importantly sharing that wisdom with those that you know really appreciate it. I still cannot believe you have come so far since we first met, but I am more pleased than I could say. I think you know that. Anyway… Onward and upward. All the best. Great video update Jennifer!…and I love southern women with smart glasses…:-) ..and Alabama rocks!!!!!!! When you look forward to someone’s e-mail it means the person is well thought of…So, i was happy to hear from you and through your video find out what you’ve been up to. As a long time reader and fan of your work, I know you’re SEO certified as well as how successful you’ve been helping local business here in the GA area and beyond. I smell a local, offline consulting product brewing. Glad to see you back in a big way! Thank you for being here! And thank you for your hips and tips! I really digg. right on potpiegirl. I gave up the wa membership for quite a while now cause I wasn’t taking action so just said to myself no more spending till I get some income coming in. thats where I met you.. great to see people like you getting things going.. and buiding assets on the way…great example! Looking forward to this new project. Oh ,and you look hot…(blush)..
Hey, Jenifer, you were right, I am so excited! I love David! I have 2 of his programs both 4DMBB & PAWS, can’t wait. I know you’re tired, but hang in there for us. we really need you both & thank you for sharing. I am so excited about the new training. I too am suffering from doing so much work but with no results, but I am not going to give up. All I have to say is thank you. I cant wait for your new venture to begin and I hope you achieve all of what yo set out for it. Um…what does that have to do with Jennifer opening up an internet marketing training program? I just watched your video about “Something New”. I am very excited about what you are doing. I am sure I am like many others out there. I have downloaded a ton of free and paid for information, products and promises but still haven’t made a penny. I’m not the sharpest pencil in the box but I’m not the dullest either. I understand the mechanics of the business but just so over whelmed with all the information and knowing what to do next. I do have your “One Week Marketing” program and “The Damn Way” along with countless others. As soon as I get your email you are up and running I will be the first to sign up. You seem to be down to earth, honest and caring about what you do and I really appreciate that in this world of scams and dishonesty by a few that make it tough for everyone else. Thank you for your hard work, enthusiasm and the opportunity to learn from the best. Thanks for the video update Jennifer, it was fun to see you in the video! Can’t wait to hear about your new product. I give you full credit for steering me in the profitable direction with your 6 Steps Niche Website blog, and I’m looking forward to what’s next. Congratulations on your CB success, glad you got some recognition there! Questo non me lo sarei mai aspettato. Belle scuse,bella gente,bella merda! Andate tutti a fare in culo. hey, Jennifer – you may want to remove the vulgarities spewed by “AutoCAD” there…Thank you,Google Translate. I love this video. I just recently came to know you via an email from Russell Brunson. I am very excited to see what you roll out next. Thanks for being you! Been following you for a while now and would like to get more involved. Worked in Alabama for several years as an entertainer. Just mentioned that as I now have found something in common with you,\. Don’t know why it means something to me but it does. Will follow you on twitter and if you are on facebook will join you there as well. Last but not least, Congrats on Clickbank. You deserve it and I’m proud of you. I don’t actually know you. It’s the first time I have stumbled upon your blog. In fact, quite a couple of times. I actually recogize you as the lady who are giving such great insights at Squidoo and giving tips on your blog here about it as well. Good to see you’re coming out with a ‘new’ site. I think judging from beingthat busy, you are quite dramatically excited! Hope you get on well with your new adventures. Please keep us posted on how everything goes! Jennifer, this is great I am so glad you just keep on going like the little pink bunny. I received a message and it said to add name etc on this newone and then nothing. Don’t know what happended. First, Congratulations!!! On your new training site Power 3 Marketing. YEAH!!! I am so pumped to make this happen and I have put all my trust and learning experience in you and your new site. Jennifer I have followed you for almost a year now but got off track and spent loads of money and time on some of the “GURUS”! GOT NO WHERE! Hello!!! Damn shinny things!!! Blinders on now!!! Full speed ahead!!! Your email announcing the new site was a slap in the face for me and brought me back to reality. You are the one that made more sense to me and seemed to be a real person with the right knowledge and personality to train a newbie (an old newbie now) like me. I have OWM, The Dam Way, Squdioo 101, follow your news letter and have rejoined Wealthy Affiliates and all thanks to you. I have signed up for the P3 Elite program and put every thing else aside for now. I am still working on the affiliate marketing through Squidoo for the holiday season. I am retired and this internet thing has become my life. I am not the sharpest pencil in the box but I worker harder then most, just don’t think I have been drawing my line from A to B in a straight forward motion. Back on track now. Thanks Jennifer, looking forward to working with you and David. I was really excited and relieved to know there was a viable alternative to affiliate marketing. But as I continued to read through the material, I began to get the feeling that I would need to meet the people I’d be servicing and pitching my services to them. This would be ok, if I weren’t housebound. This is why I chose affiliate marketing, although I haven’t made much from it, because I don’t have to physically meet my customers. Despite this, the course sounds great and promising for those that don’t have a problem with meeting their customers in person and selling them their services. 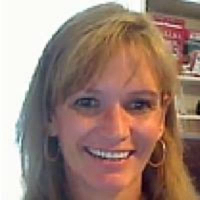 Hi Jennifer, I have been reading your Squidoo lenses – thanks for sharing tons of great information with us. I have been making Squidoo lenses to drive traffic to my websites but had not thought of including affiliate links in them or creating other lenses with affiliate links. Why didn’t I think fo that! looking forward to seeing this project come to life. Isn’t Boise state football great and do you really like the Blue Turf? Power 3 Marketing is AWESOME! This program couldn’t have come at a better time. My son is trying to get his painting business off the ground and this is a perfect way to get him business. Although I am not making any money with this one the education I am getting is priceless. I put my first website out there yesterday and in today Google put me on the first page! David I followed your videos in P3Gold to the letter. Your instruction is easy to follow and the videos helped me considerably. I am an Elite member and haven’t even made it to P3 Elite information yet. I believe I am getting the real basics from P3 Gold that will give me the foundation to create a solid business in the future. I can’t thank you, Jennifer and the P3 staff enough for the time, hard work and effort you have and are putting into this program. First, you really look great! Yes, it’s been a while, I hope you will come up with more advanced modules for some of us who are still struggling with affiliate marketing. Sometimes I’m overwhelmed with the information I get on IM. If only I can get a “working” formula….Looking forward to your new material! Congrats on the new training center!